Jess Duffin has continued her stellar start to the season with an unbeaten 83 to guide Prahran to a comfortable win over Essendon Maribyrnong Park at Toorak Park today. Duffin has started the season with 47*, 132, 235 and 83*, a total of 497 runs at the Bradman-like average of 248.50! 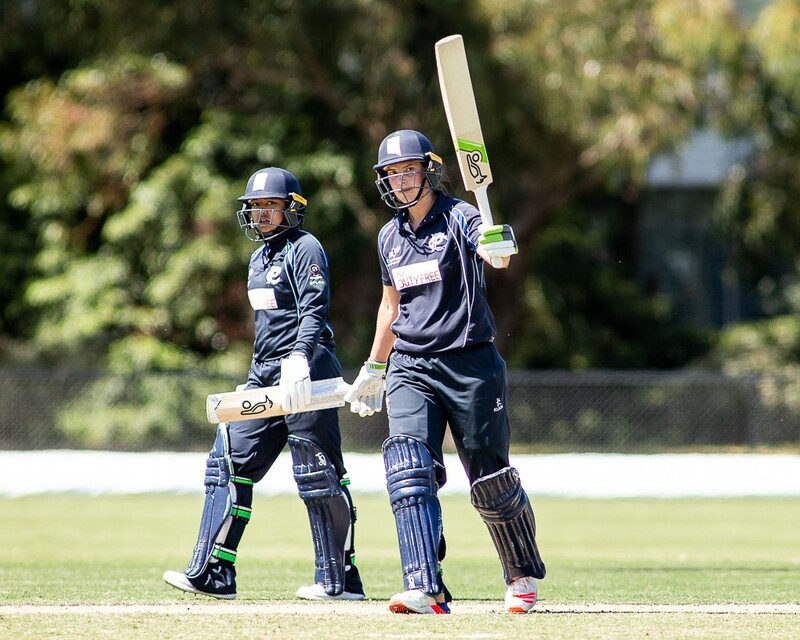 Prahran (5/162) comfortably hauled in EMP's 161, with skipper Emma Inglis also topping 50. The win maintains Prahran in top spot on the ladder with the maximum possible 25 points after five matches. Dandenong got its season back on track with a good win over Melbourne. Chelsea Moscript (4/15), skipper Emma Gallagher (2/15) and Courtney Neale (2/9) orchestrated the Demons' collapse for just 79 and, although Dandy had some nervous moments, they reached 7/83 to snare a bonus point, with Kuwaiti international Maryam Omar (34) the mainstay. 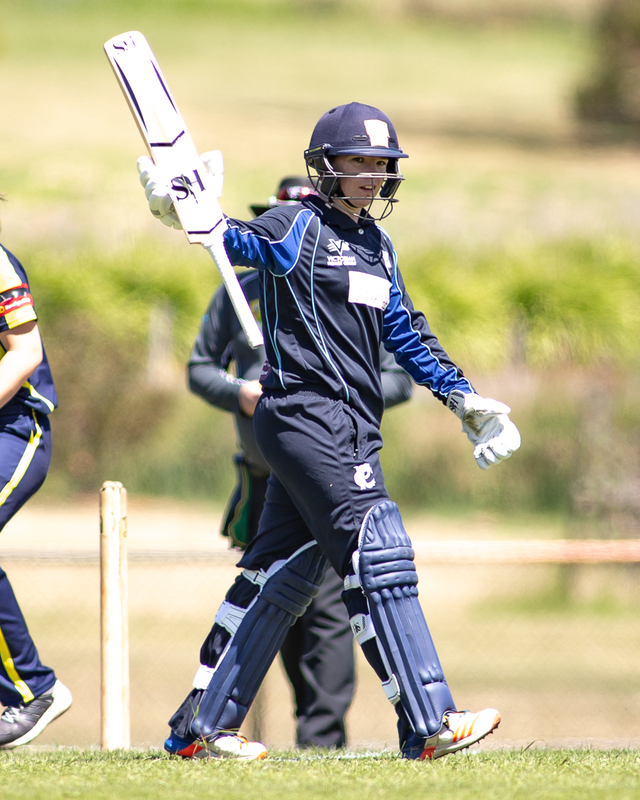 In the other matches, Carlton-Brunswick and Plenty Valley played out a thrilling tie at Gillon Oval and Box Hill thumped Ringwood at the Russell Lucas Oval.